Call us today, to learn how we can get your Mesa Honda back in tip-top shape! Mesa being Arizona’s thirds largest city sees its fair share of collisions. Some minor, some major, but all equally inconvenient and troublesome. If you and your Honda have been in a fender bender or a more serious collision, you want to be sure that your Mesa Honda body repair shop restores your vehicle to its pre-accident condition, not only in appearance but also in safety and structural soundness. For this reason drivers need to consult a Mesa Honda certified collision repair shop. Only your local certified body shop has the training, expertise, parts and equipment to perform repairs in a way that the structure of your car is not compromised and remains as strong and safe as the day you purchased it. Our body repair company in Mesa, have a passion for providing the best possible body repairs and customer service experience for their clients. Therefore they encourage their qualified technicians to continue their education and training by attending programs such as the I-CAR Gold Class training. Each year, employees have to be recertified in order to claim the highest industry standards in body repair techniques. Being a ProFirst collision repair center, Excel Collision and Glass Centers in Mesa have completed the Honda prescribed training program educating them in the safe, correct, and complete repair of your Honda. Not every body repair shop can claim to have this distinction. We are among only 15% of body repair shops nationwide that are able to provide these specialized services. Training and equipment can become rather costly and not every collision center can afford the initial expense. Excel Collision Center in Mesa has service centers and repair facilities that provide you a drive-in access to drop off or pick up your vehicle from our damage inspections. We aim to be the most accessible Honda certified collision center in Mesa. We have the best tools and procedures to restore your car to a pre-accident state. Bring us your vehicle whenever you want us to repair the dents and scratches on your vehicle. We understand how there can be uncontrollable situations in our life where we get into an accident. Your Honda can get horribly damaged or even totaled, making you wonder if repairing it is even worth it. Excel Collision Center has the right tools, and the skilled workers to return your car to a perfect condition, and if your car is totaled we work with you to make sure the insurance claim is processed. We work with all the major insurance companies. Sometimes, cars don’t brake fast enough to stop in a lane and end up crashing another car, making them both have a dent that will make your car look unappealing. Excel Collision Centers has the answer for any dent your Honda vehicle may have. Regardless of the model, our skilled workers are trained, and Honda certified to repair and remove all your debts with the right tools, bringing back a new-look to your Honda. Know-how and passion in repairing your Mesa Honda are important attributes, but if the body repair shop can offer neither OEM parts nor the necessary equipment, you and your Mesa Honda are at a disadvantage. When it comes to car safety, cutting corners is not a smart choice; it is dangerous. 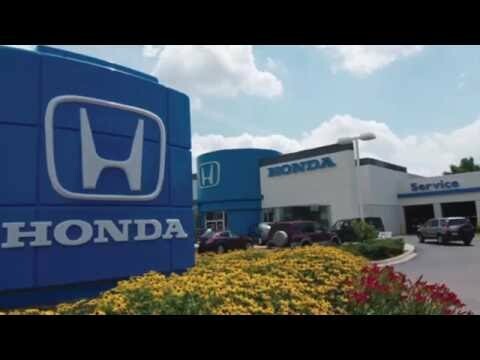 You will feel the difference from the moment you drop your Honda off at Honda of Superstition Springs, our East Valley Honda partner or at one of our convenient locations. We keep you updated on the progress of your Honda’s repair and are so proud of our work that we warranty all work executed on your vehicle for as long as you own it. Call us today, to learn more about how we can get your Mesa Honda back in tip-top shape.